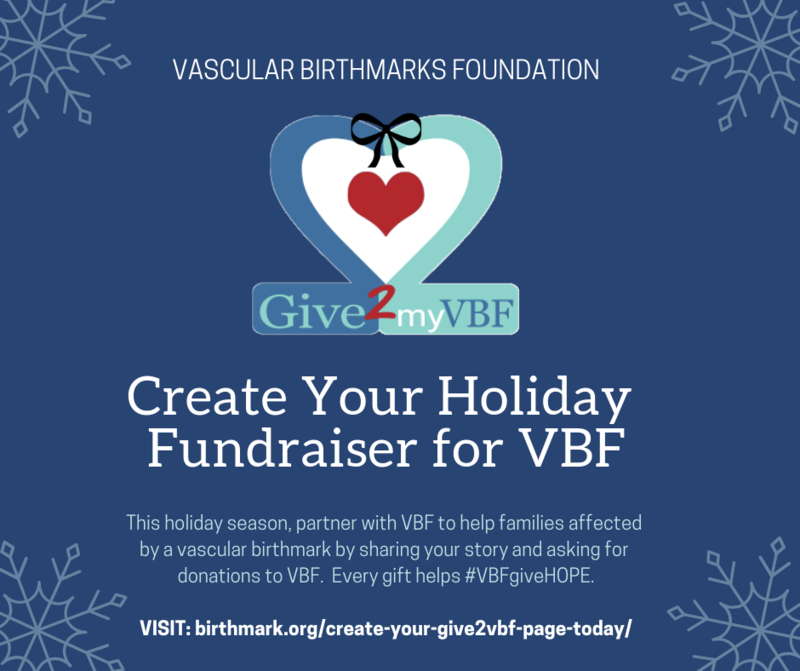 The Vascular Birthmarks Foundation’s “Give2myVBF” page is your chance to partner with VBF to help families affected by a vascular birthmark. – allow far-away friends and family to participate in your VBF Day of Awareness event. YOU can make a difference by creating a Give2myVBF page today!